Heartburn—that painful, burning sensation in the upper chest that usually follows a meal—is a familiar sensation to many of us. The condition is often accompanied by stomach upset, belching and other symptoms of indigestion. It is usually treated with over-the-counter remedies such as calcium carbonate tablets or something as simple as baking soda in water. But when heartburn frequently returns—sometimes after every meal—it may be more than a simple case of too much of the wrong food. Heartburn is caused by acid reflux, an upward flow of stomach acid into the esophagus. In gastroesophageal reflux disease (GERD), chronic acid reflux exposes the esophageal lining to the stomach’s powerful acid on a regular basis. This damage can lead to a condition known as Barrett’s Esophagus, which is associated with an increased risk of esophageal cancer. Clearly, acid reflux can be more than an occasional annoyance. 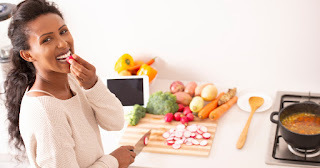 Learn more about acid reflux below and listen to the Live Foreverish Podcast, in which Life Extension’s own Michael A. Smith, MD discusses the latest information. Acid reflux is caused by a backflow of the stomach’s hydrochloric acid upward past the lower esophageal sphincter into the esophagus, which is the passage taken by food when it travels from the mouth to the stomach. While the lower esophageal sphincter normally prevents the passage of the stomach’s contents into the esophagus, relaxation or weakening of this muscular band allows stomach acid to flow backward, resulting in irritation to the esophageal lining. One cause of acid reflux is hiatal hernia, which occurs when the upper part of the stomach and lower esophageal sphincter move above the diaphragm. Acid reflux is also a common occurrence during pregnancy. A major cause of acid reflux is being overweight or obesity, when abdominal fat exerts pressure on the stomach. In addition to overeating in general, some foods can make acid reflux worse. Fatty and fried foods, spicy food, coffee, tea, citrus fruit (which includes tomatoes), mint, chocolate and carbonated or alcoholic beverages are among the more notorious culprits. This does not necessarily imply that these foods can never be consumed, but if one or more is associated with your symptoms, try consuming it in smaller quantities or less frequently. Broccoli, kale, radish, cucumber, cold milk and milk curd were shown in a recent study to have acid-neutralizing effects. Of these foods, broccoli and cold milk had the greatest antacid activity, which was similar to baking soda.1 In fact, consuming ½ teaspoon of baking soda mixed in a small glass of water is a great way to temporarily treat acid reflux symptoms by neutralizing stomach acid. While neutralizing stomach acid may help ease acid reflux symptoms, keep in mind that the stomach’s acid is essential for digestion and helps protect against infection by food-borne pathogens. Neutralizing stomach acid’s pH is ideally a temporary solution; however, some patients may be treated long-term with drugs that neutralize or reduce the production or release of stomach acid. Calcium carbonate is a common ingredient in over-the-counter heartburn relief products that, when chewed, neutralize acidity in the esophagus without affecting the stomach’s acid.5 Magnesium carbonate is another mineral salt that can be helpful.6 Calcium carbonate and magnesium carbonate have the added benefit of contributing to the body’s essential need for calcium and magnesium. Aloe vera juice has long been used for gastrointestinal complaints. Aloe vera liquid was associated with a reduction in GERD symptom frequencies in a pilot trial.7 If you choose to try aloe vera liquid, look for one that is free of aloin, a naturally occurring compound that can be an irritant. Digestive enzymes consumed with food may aid in the prevention of acid reflux symptoms. Eating slowly also helps. If you have acid reflux, what should you eat? How much one eats is also important. Since having a greater amount of belly fat puts pressure on the esophagus and stomach, losing some of that fat can improve reflux symptoms.10 Eating less may not only result in fewer acid reflux symptoms during a meal but can also help with long-term acid reflux management. Fortunately, acid reflux is treatable and often reversible. By making a few dietary changes—and sticking to them—acid reflux can be prevented in many cases. However, do not discontinue the use of any medications to prevent acid reflux that have been recommended or prescribed by your physician without his or her approval. About Live Foreverish: Join Dr. Mike as he sits down with some of today’s leading medical, health and wellness experts to discuss a variety of health-related topics. From whole-body health to anti-aging and disease prevention, you’ll get the latest information and advice to help you live your life to the fullest. If you like what you hear, please take a moment to give Live Foreverish a 5-star rating on iTunes! Panda V et al. Complement Ther Med. 2017 Oct;34:111-115. Aly AM et al. AAPS PharmSciTech. 2005 Sep 20;6(1):E74-82. Thiyagarajan P et al. Inflammopharmacology. 2011 Aug;19(4):235-41. Chandrasekaran CV et al. Phytomedicine. 2011 Feb 15;18(4):278-84. Robinson M et al. Aliment Pharmacol Ther. 2002 Mar;16(3):435-43. Maton PN et al. Drugs. 1999 Jun;57(6):855-70. Panahi Y et al. J Tradit Chin Med. 2015 Dec;35(6):632-6. Zalvan CH et al. JAMA Otolaryngol Head Neck Surg. 2017 Oct 1;143(10):1023-1029. Nehra AK et al. Mayo Clin Proc. 2018 Feb;93(2):240-246. Park SK et al. Neurogastroenterol Motil. 2017 May;29(5).